In this Creo top-down training/modeling course, users will learn about the many flavors of top down modeling mythologies. We will discuss surfacing techniques that allow top-down design to preform properly and compare the wide variety of workflow tools available for top-down modeling strategy. Such as Copy Geometry, Shrink Wrap, Merge, master model, and Inheritance -while learning how teams can manage publish geometry. 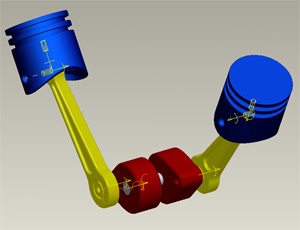 This and all Design-Engine courses are offered onsite at your facility. Call to speak to an account manager to arrange a class at 312.226.8339 today. Some Surface modeling is helpful, but this course will teach you also how to use surfaces as tools for use with the various top-down design methodologies. History of top-down Design and how the tools evolved. 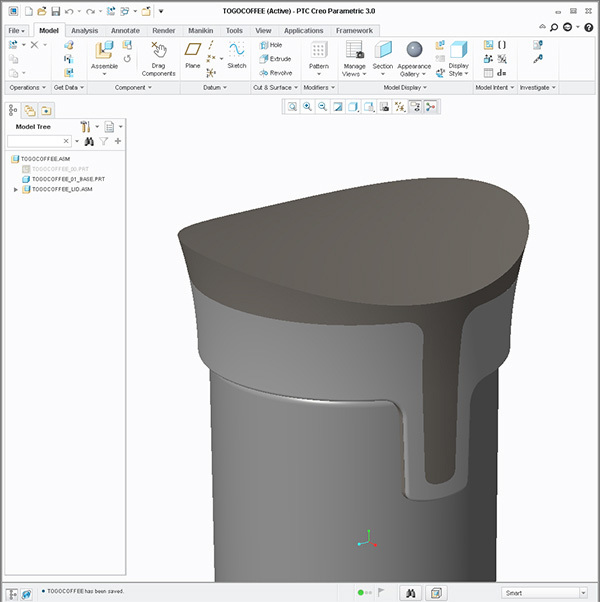 Overview of basic top-down design with the use of Creo 3.0 or if you prefer an older version of Pro/ENGINEER (such as WF 4.0/5.0). Utilize Edit Definition to re-work the external copy geometry. When to use Copy Geometry, ShrinkWrap, Merge, master model, & Inheritance Features. Compare and contrast a simple external copy geometry to a skeleton part full with publish geometry. Various top-down modeling methodologies for obtaining solid geometries when creating external copy geometries. Publish Geometries footers and teams. Form development with respect to getting all the parts to fit properly. 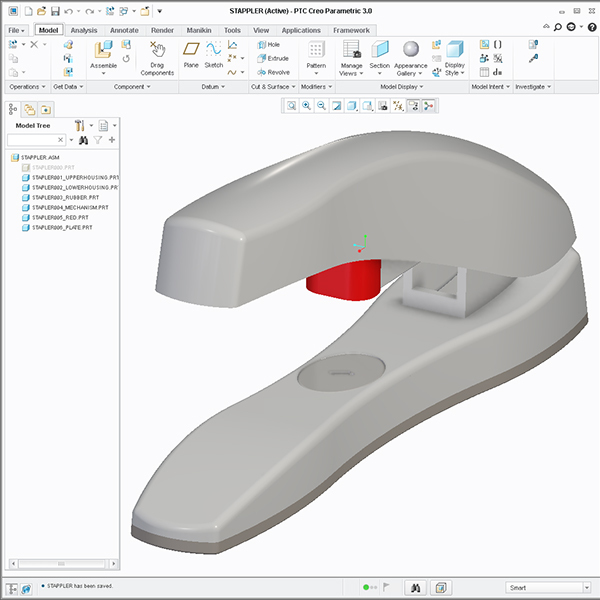 Compare top-down design modeling methodologies from Creo to Solidworks. How to manage fail mode that spans across multiple parts. 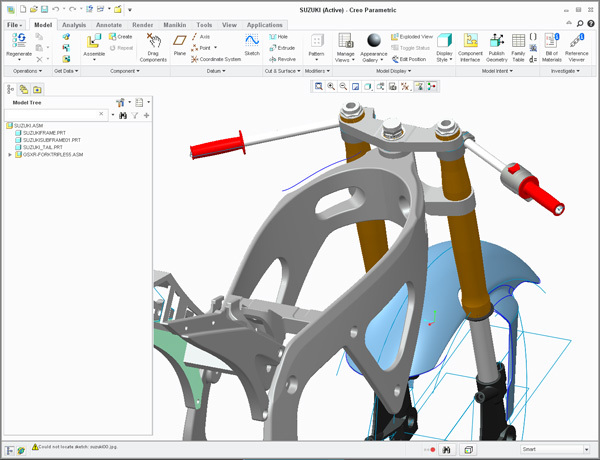 Compare Creo top-down design methodologies workflows such as Copy Geometry, ShrinkWrap, Merge, master model, and Inheritance. How to make top-down models more robust so changes can occur without fail. Discuss with examples how publish geometry can be used to facilitate teams in rapid product development from form development to finite element analysis (FEA). Stapler with a simple external copy geometry. Same stapler using a skeleton part then compare and contrast. 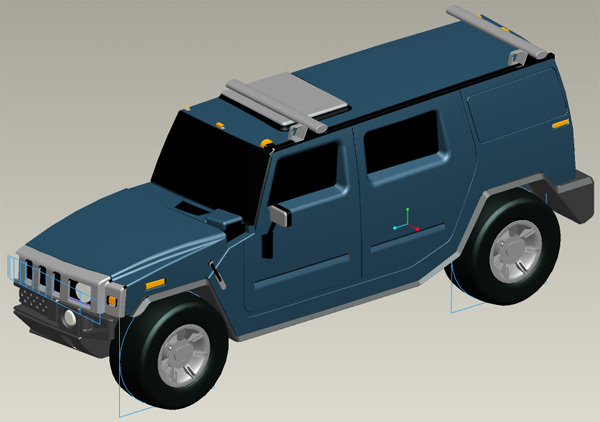 Hummer project modeled using top-down design. Top-down design example using cable harness and Kawasaki head lamp. Tea pot using top-down design to determine volume of fluid, thus convert those cubic inches to fluid ounces. Introduction to constraint based modeling, assembly, detailing & making changes utilizing the latest release of Pro/ENGINEER. This Creo training course is developed for new users who want to become proficient learning Creo in just one week. We help you learn Creo not read to you from an exercise. In this course we help design engineers learn how to make changes quickly to set them up for becoming expert faster. As with all Design-Engine classes, participants keep the training material login and password for life. Use top-down design by creating an external copy geometry of the inside of the tea pot, to determine the inner fluid volume. 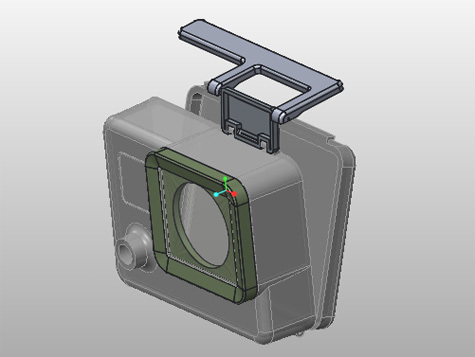 Convert those cubic inches to volume ounces and display that information on the detail drawing. 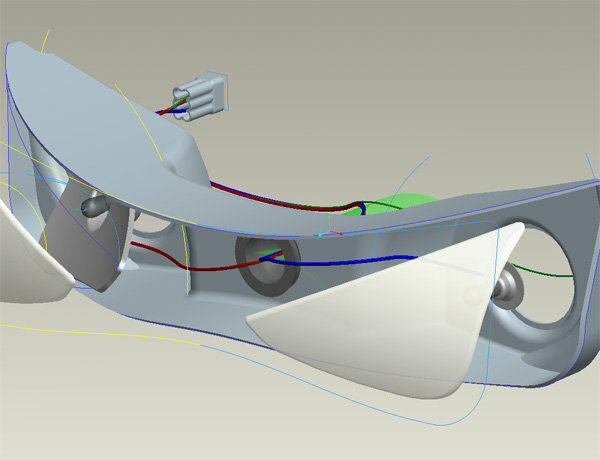 This top-down design example uses external copy geometry to delineate between bumper trim and roof geometry from truck body. Use various forms of top-down design to learn how cable harness’s can be routed efficiently through very large assemblies. 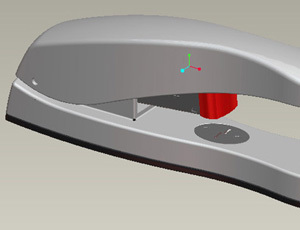 Use surface geometry to delineate from major body parts of this stapler. Learn to manipulate the geometry so that none of the specific parts fail upon regeneration. This model becomes robust when users learn to take strategic advantage of parent child relationships.